IMPORTANT NOTICE: pre-booked tickets allow to enter the Museums without waiting in line. It is necessary to book at least two days (48 hours) prior to the date of the visit.As the Museums are very crowded and available places are limited, we suggest you to book tickets well in advance. The entrance ticket to the Vatican Museums is valid for visiting the Vatican Museums and the Sistine Chapel. It is possible to stay inside the Vatican Museums for as long as you prefer, while in the Sistine Chapel it is possible to stay for 15 minutes. Enter the Vatican Museums from the dedicated entrance and avoid long queues at the ticket office! from April to October admire the Vatican Museums and the Sistine Chapel at sunset! 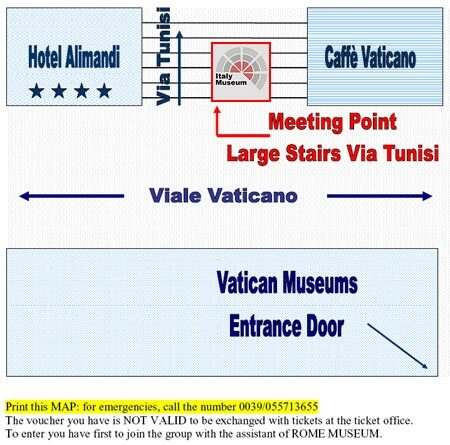 - MORNING TICKET WITH ASSISTANCE: an Assistant of our Agency (Tuscanyall.com Srl), will be waiting for all visitors in front of the Vatican Museums (please click here to see the meeting point). 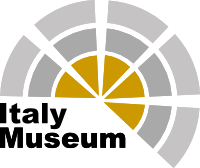 Our assistant will have a sign with the Rome-Museum logo. Visitors must give the voucher to the assistant who, once the group is complete, will lead all the visitors inside the Museum. This entry does not entitle you to any kind of guided tour, but to an assistance service for the entrance until the "Cortile della Pigna". - AFTERNOON TICKET and NIGHT OPENINGS: visitors must show the ticket to the museum attendant who is in front of the dedicated entrance "Visitors with online booking", after passing the security checks, visitors must show the ticket at the "Online Cashier and Groups" on the first floor. - AFTERNOON TICKET and NIGHT OPENINGS: No exchange, refund or cancellation of tickets is allowed. The Vatican Museums are open from Monday to Saturday, from 9:00 am to 6:00 pm (last admission at 3:00 pm). Are closed on Sunday, except for the last Sunday of the month (no guided tours are available on this day). If on the requested date the Museum is sold out, and you have not indicated any alternative date, your order will be suspended and you will be contacted by email by our customer care staff. As soon as we receive your booking request, your tickets will be booked. The original voucher will be emailed to the email address you provided, so be sure to insert it correctly. The original voucher is the only document recognized at the entrance of the museum. The procedure will take a few hours. In case the order is sent on Saturday after 12:00 or Sunday, the related voucher will be sent the following Monday. In the event that the order is submitted on a weekday, but after 6:00 p.m. (Italian time), the voucher will be sent the next day. 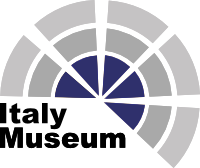 You will be asked for an identity document at the entrance of the museum, especially if you have booked reduced or free tickets. If you do not want to send your booking request by email, please print and send the form you find on the 3rd page of the reservation procedure by fax to Tuscanyall.com s.r.l. to the number: 0039/055/7193507. IMPORTANT: Please include the credit card number and the expiration date to make the payment, as well as the signature of the cardholder to authorize the charge. For those who do not have a credit card: it is possible to book tickets and make the payment by bank transfer (bank details are indicated on the form).